Mobvoi TicPods Free truly wireless Bluetooth earbuds have been ready to deliver your favorite music in a cable-free way. Like the design? Let’s keep checking. The TicPods Free is a pair of beautifully designed true wireless Bluetooth earbuds. 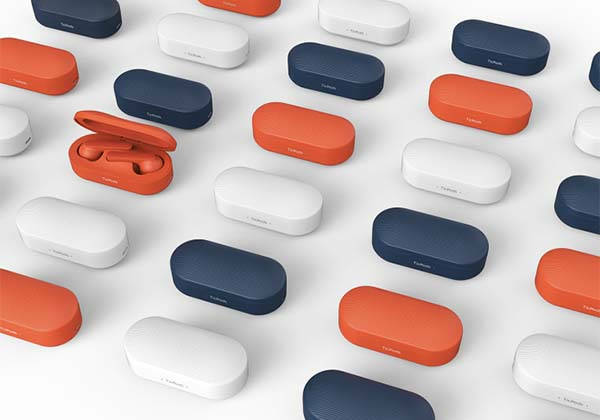 As we can see from the images, the earbuds sport a minimalistic and elegant appearance design along with two optional stylish colors: navy and lava. Meanwhile, the earbuds are ergonomically designed to fit comfortably and securely in your ears, and each pair comes with two different sizes of silicone tips to provide a custom fit for every listener. With IPX5 water resistant and sweat-proof rating, the TicPods Free is ideal for various indoor and outdoor exercises. With Bluetooth 4.2 technology, the wireless earphones stream music from your smartphone, tablet or other Bluetooth enabled devices. Furthermore, intuitive touch controls have been integrated in the stems of the earbuds so that you can easily control your music, make or answer calls, or activate voice assistant on your phone with simple gestures including slide up and down, double tap and long press. Built-in in-ear detection allows them to automatically pause your music when you take one earbud out and resume when you put it back in. With ambient noise cancellation and noise isolation, the earphones let you answer or make clear handsfree calls. The TicPods Free offers 4 hours of battery life on a single charge, and a custom charging case provides up to 14-hour extra battery life. 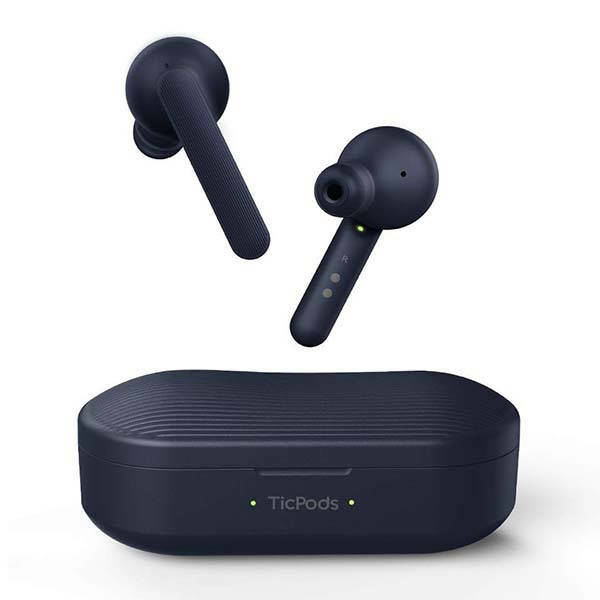 The TicPods Free truly wireless Bluetooth earbuds are priced at $129.99 USD. If you’re interested, jump to the product page for its more details.